Serena Williams suffered the most lopsided loss of her career last month in the opening round of the Silicon Valley Classic, when Johanna Konta defeated her 6-1, 6-0 in less than an hour. It was the first time in Williams’s career that she hadn’t won at least two games in a match. 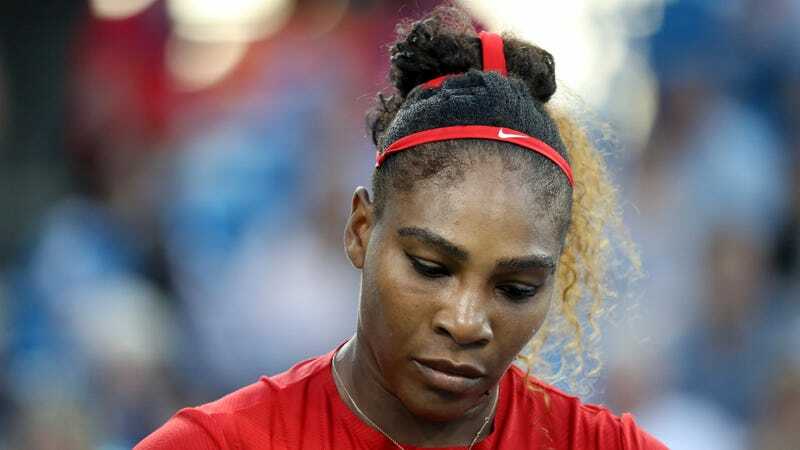 Williams went on to withdraw from last week’s Rogers Cup due to “personal reasons,” then lost in the second round at the Cincinnati Open on Tuesday. Her next scheduled tournament is the U.S. Open, beginning in late August.